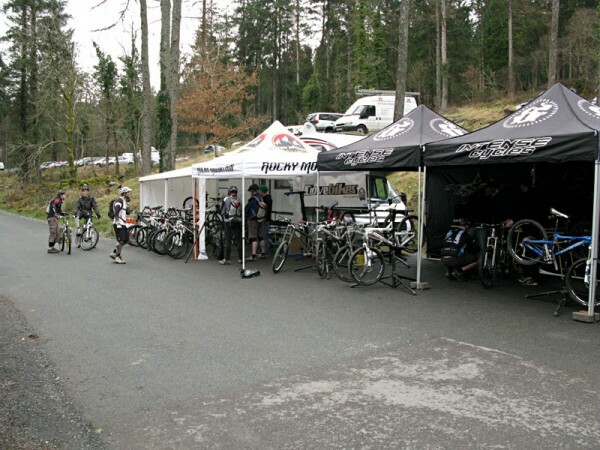 The first stop of the Premier Demo Series kicked off last weekend at the forest centre in Coed y Brenin, North Wales. The rain held off and blue skies were even spotted on Sunday. 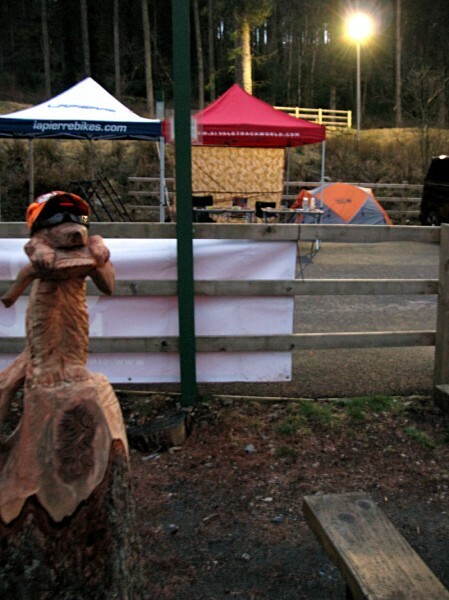 Which all made for perfect trail conditions for people to ride 2009 bikes from Turner, Lapierre, Intense, Cove and Rocky Mountain. 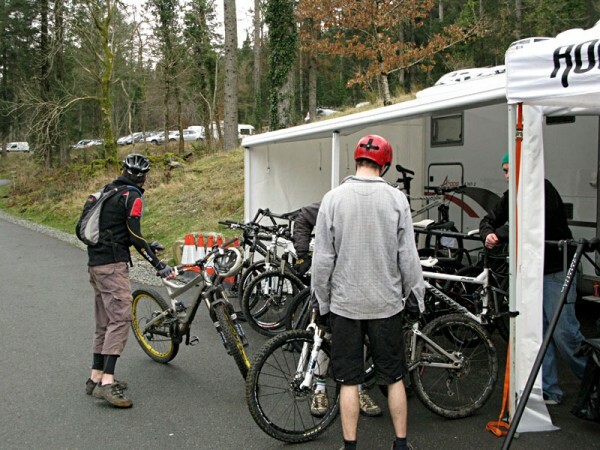 The trails at Coed y Brenin made the perfect testing ground with a 40 min demo loop set, featuring a variety of terrain on which to put the bikes through their paces on. 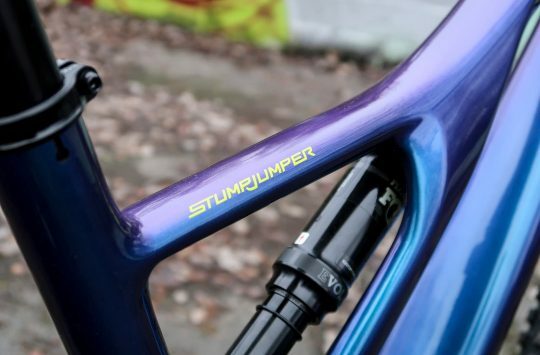 Riders were keen to take the opportunity to ride the latest bikes from 5 industry-leading brands. 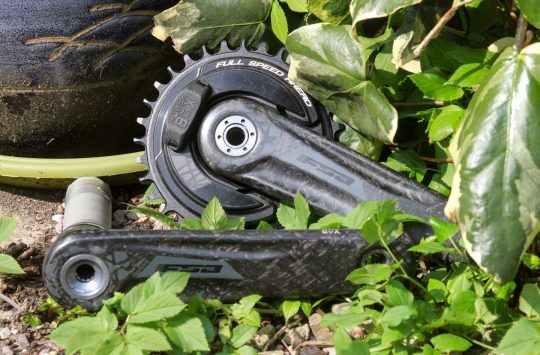 And with the new DW-Link equipped Turners and the new Intense Tracer glinting in the sun, it was no wonder people made the most of the free demo bikes and rode until their legs gave up. Shiny test bikes - Lots of 'em! 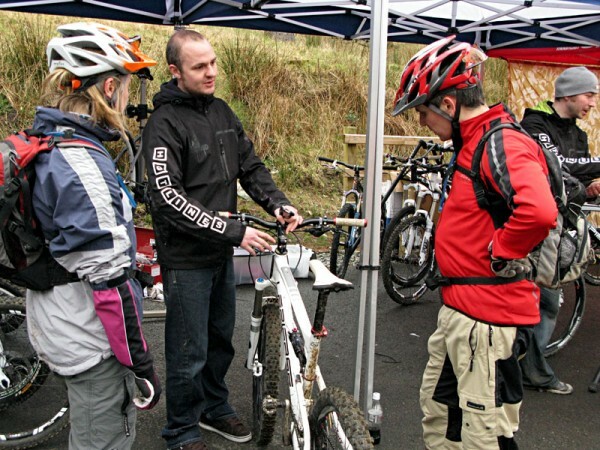 "I 'need' your inside leg measurement.."
Singletrack magazine were on-hand to meet their readers and talk to people about their publication and Rocky Mountain Bikes professional racer Scott Beaumont was on hand to help people with any racing or riding tips or simply to join in with the demo fun. Check out www.premierdemoseries.com for details.